Clairvoyance isn’t as difficult as you may have been led to believe. Increasing your psychic sight is actually an easy and enjoyable process. Patience and regular practice are essential when introducing any new skill or routine into your life, and clairvoyance is no exception. Just think of it as starting a gym regimen – your body doesn’t change unless you spend time and effort on your exercises. If you don’t see any initial progress, don’t give up. Pursue your journey further and you will eventually begin to see the changes you want – just ensure you aren’t putting too much pressure on yourself. If you experience vivid dreams, you’re already on your journey to becoming clairvoyant. When our subconscious takes over, dreams are a way in which spirit guides can communicate with us. With our logical minds temporarily blocked out, it’s easier for us to accept this enlightenment that we may normally overlook. Astral travel is an effortless way for us to practice clairvoyance, we just need to allow our body to sleep and our soul to take over. Keeping a dream journal close by when you go to sleep is an excellent way to keep track of how your clairvoyance is developing. Record your dreams as soon as you awaken, and you may begin to notice patterns and motifs emerging that have some existing meaning to you. They may even be an indication of a former life. 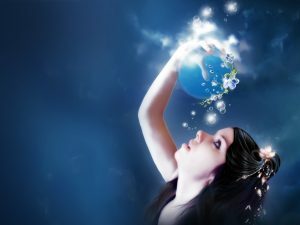 As you develop your vivid dreams, allow yourself to receive direction from your spirit guides. All you need to do for this is set up the intention that you’re welcoming intuitive guidance. Ask your spiritual family to send you messages through the clairvoyance you’ve developed in your sleep, making sure to write down any messages as you awake. Strong visual abilities are one of the key aspects you’ll find in clairvoyants, so you’ll need to spend plenty of time perfecting this skill. If you practice regularly enough, you’ll ease into this over time. Your third eye chakra can be found in the middle of your forehead, between your eyebrows. This is the mind’s eye that clairvoyants typically ‘see’ through. Opening your third eye is an essential part the visualization process – this will allow you to begin receiving clairvoyant visions. Spend some time every day visualizing different imagery in your head. These can be full scenes, symbols, or pictures. Not only will you find this an effective way to begin opening your third eye, you’ll find is also a highly relaxing process. The use of numbers is helpful when attempting to open your third eye chakra. With your eyes closed, visualize each number from one to ten, holding the image in your mind for 10 seconds each. Childhood games, such as Memory are useful to return to when becoming clairvoyant. Memory is the game in which the player attempts to find pairs of cards by placing all the pack down then turning them over one at a time. Try playing this again now, but rather than simply remembering where each card is, attempt to ‘see’ the cards in your third eye. Another game that may help consists of having someone place 10 items on a table at random. Remove yourself from the room as they do this. On your return, study the items for a short period of time. Then close your eyes and envisage each item – where they were, the size, and the color. Write them down. Then, open your eyes and see how well you did. You’ll need a pack of Zener card on hand for the final game on our list. All you need to do in this case is practice sending images from the Zener cards with your mind. You’ll need a friend with you for this one, so they can try sending you images back. There’s a reason meditation is often referenced when discussing clairvoyance – it’s an essential aspect of developing your psychic muscles. It helps to eliminate your logical mind, elevating your vibrations and allowing you to detect the spiritual energy surrounding you. Meditation helps to open your third eye. Any form of meditation can help you along your journey, however there are some specifics you can keep in mind when meditating with the intention to become clairvoyant. The first method is to get comfortable. Then close your eyes and practice deep breathing to sooth your body. 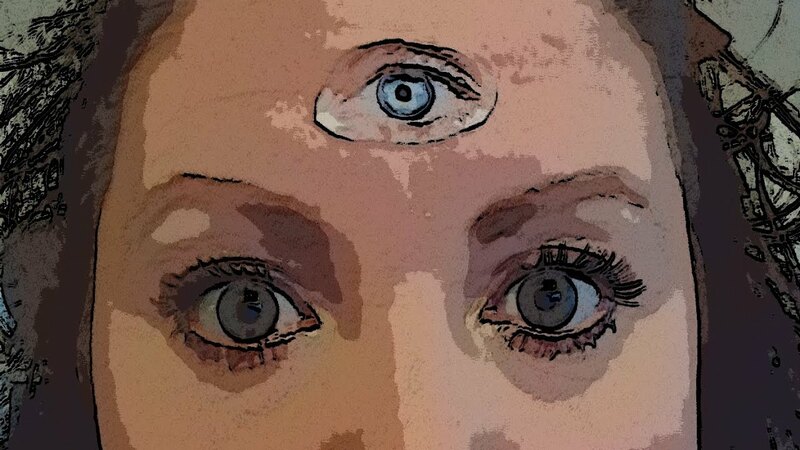 Once you’re in a relaxed state, visualize a loved one using your third eye. Allow yourself to imagine all of their features, focusing intently on each one for some time. The second method begins the same way. Once you’re in a relaxed state again, acknowledge your intentions to become clairvoyant, and put a particular focus on your third eye chakra. Visualize your chakra as being purple in color, and imagine it rotating. A tingling sensation between the eyes is typical in this situation – it’s an indication your third eye is opening up and allowing you to progress on your clairvoyant journey. Another way to unleash your third eye chakra is by using crystals. When sleeping or meditating, keep them close by. You can keep them with you throughout the rest of the day by placing them in your pockets. This will not only act as a constant reminder that you’re working on developing your clairvoyance but will also provide an enjoyable experience as crystals radiate positivity. Apis lazuli and clear quartz crystal in particular are renowned for their effectiveness in opening the third eye. Becoming clairvoyant requires trust in the imagery and messages you’re receiving in your third eye. If you’re having trouble with this to begin with, don’t worry, this is simply our logical mind stepping in to remind us we’ve been raised to only believe the tangible. Always remember to keep your practice enjoyable. Allow your spirit guides to lead you – you can put your trust in them. 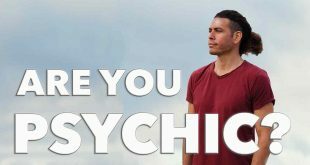 Next What are Psychic Clairvoyant’s abilities?